Special corundum blasting material of 99.6% aluminium oxide. Alpha-corundum with great hardness. The particles retain their angular shape until spent. 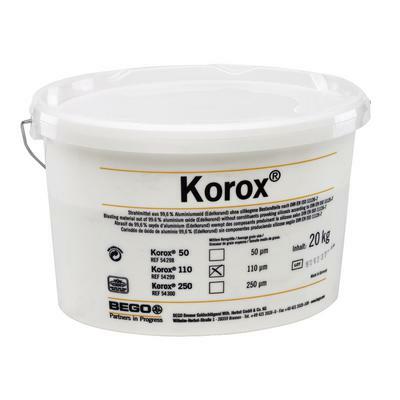 Korox® meets the provisions of the German employers' liability associations.